Today I wanted to talk about Juan Alderete of The Mars Volta. I was psyched to be able to break down a sweet bass player board. I noticed at Premiere Guitar they had some rig run downs of Juan and Omar so I thought I would feature them here. 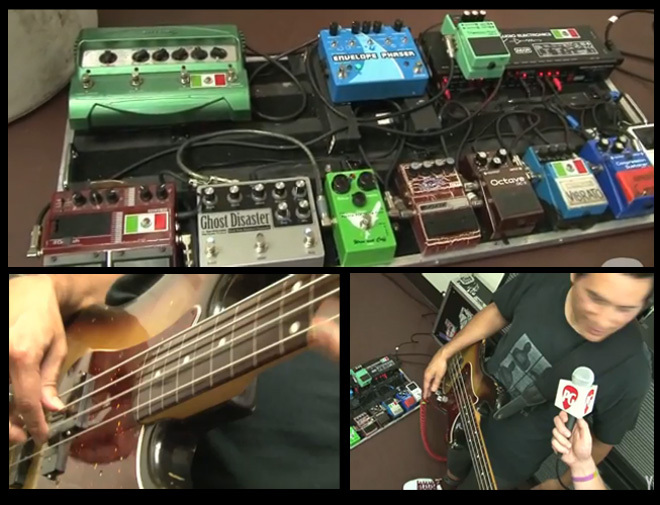 Juan went into detail on some of the pedals, but passed over a few. I went ahead and broke down all the pedals on the board. He was showing off his Fender fretless bass as well, which threw me off for a second – sounds like a fretless but with frets? He’ll explain it in the video below.